These are used for hair ties and/or bracelets. 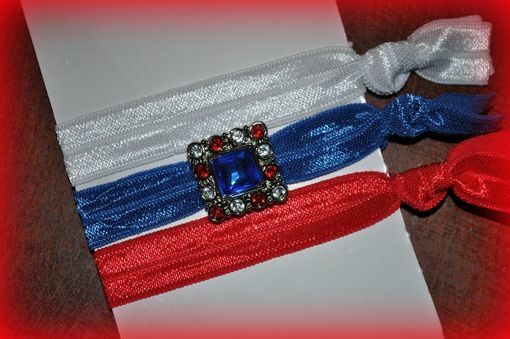 I can also make them as headbands. You can add rhinestone buttons to them also. Lots of colors of elastics to choose from. Various color/combinations of rhinestones to choose from.